About Frank Iler – Frank Iler for N.C. House – Brunswick County, N.C.
Frank Iler came to North Carolina at the age of fourteen. He is an Eagle Scout, as are his son and three of his grandsons. 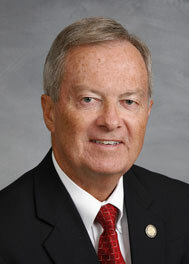 Frank graduated from Greensboro Senior High School and went on to earn a degree in business from Campbell University. He was actively involved in the North Carolina Jaycees in the 1970s and serves on the Brunswick Community College Board of Trustees. His professional experience includes working as a cost accountant and budget supervisor in the textile industry, owning a fast food franchise and several sales and marketing positions. Frank has served as Chairman of the Brunswick County Republican Party, Chairman of the 7th Congressional District Republican Party and as a precinct chairman. Frank lives on Oak Island and is a member of Southport Baptist Church, where he has served as a Sunday School teacher and a Deacon.